- A migration of the quakes' hypocenters towards the south is visible. - Depths remain mostly at about 15 km, although a few events also occurred at shallower depths. - Deformation has become more pronounced with some stations in the central and southern part registering 4 cm uplift (example La Restinga, HI9). Sinabung (Sumatra, Indonesia): Activity has been low at the volcano, but occasional small explosions and ash emissions still occur. VAAC Darwin reported an ash plume at 10,000 ft (3 km) yesterday and maintains Aviation Color Code RED, as the chance of a sudden larger explosion remains high. Dukono (Halmahera): Elevated explosive activity continues. A volcanic ash plume was detected this morning rising to 10,000 ft (3 km) altitude and drifting 30 nautical miles to the N (VAAC Darwin). 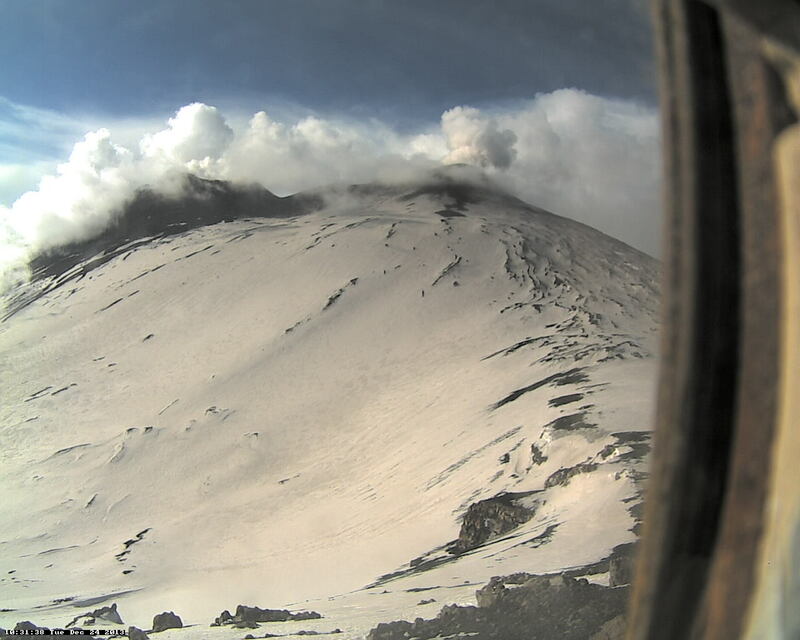 Chaitén (Southern Chile and Argentina): A visitor sent us the following short update: "Today (as of 23 Dec) the volcano was rather calm; from the town, one can identify 9 areas of incandescence at the lava dome".